MINSK, Belarus — In his first liturgy as head of the freshly christened Ukrainian Orthodox Church, Metropolitan Epiphanius called Sunday for Ukrainians to unite under the new church and pray for peace in Ukraine. 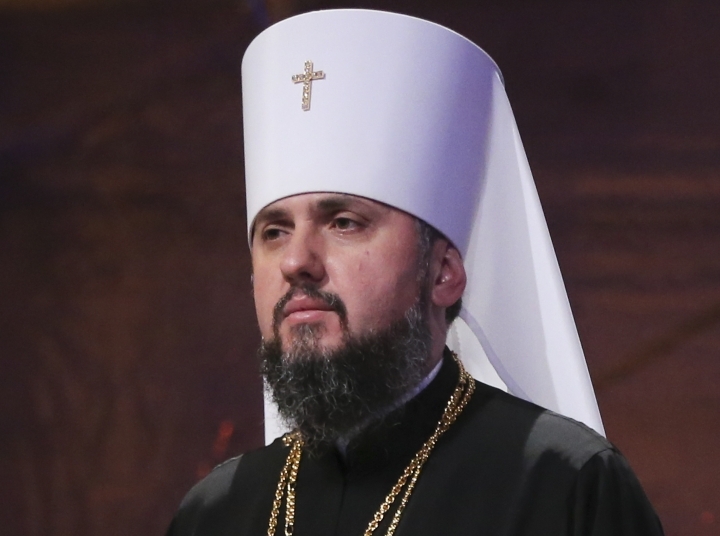 "We are ready to accept them with brotherly love, mutual respect, and to forget all of the grievances that have accumulated so far," said Epiphanius, whom Ukraine's bishops elected Saturday to lead the new church. The creation of a new church is an attempt to unite Ukrainian Orthodox believers under one roof. But realizing that goal is not assured because there remains an organized Orthodox community in Ukraine loyal to the Moscow Patriarchate. In recent months, Ukrainian authorities sought to portray Russian Orthodox priests in Ukraine as supporters of the Russian-backed separatists fighting in eastern Ukraine, claims the clerics have rejected. 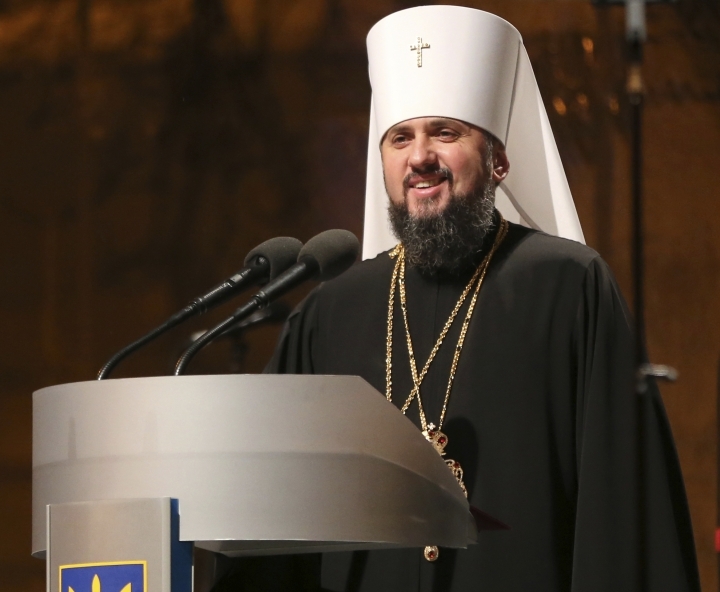 "We must complete the unification of Ukrainian Orthodoxy ... pray for an end to the war (in eastern Ukraine), and for a just peace in Ukraine," Epiphanius said. 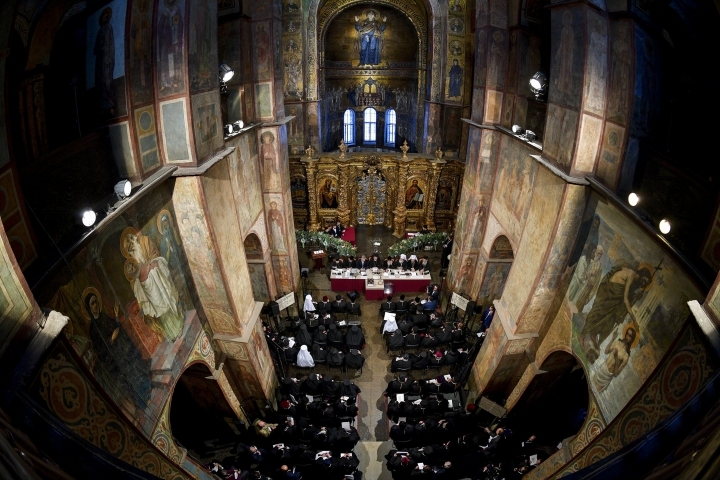 Russia has vigorously protested Ukraine's bid for spiritual independence. The Orthodox Church in Ukraine had been a wing of the Russian Orthodox Church since the late 17th century. 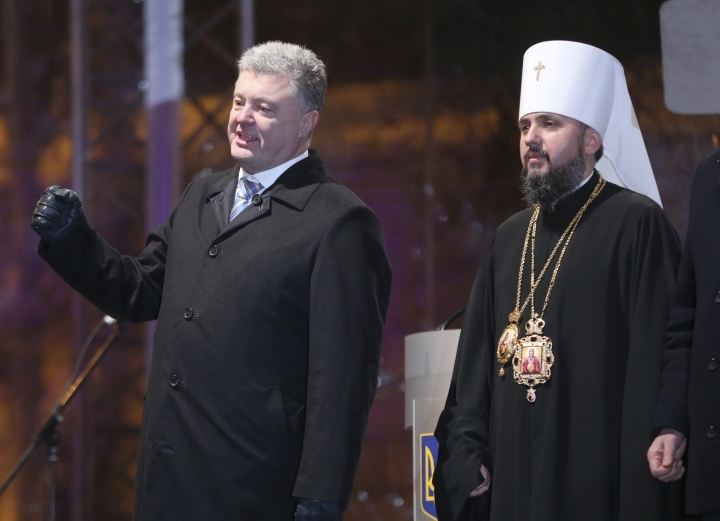 Ukrainian President Petro Poroshenko has made the creation of an independent Ukrainian Orthodox Church a key campaign issue as he runs for re-election in March. But he has insisted that those who wished to remain with the Russian church will be free to do so. 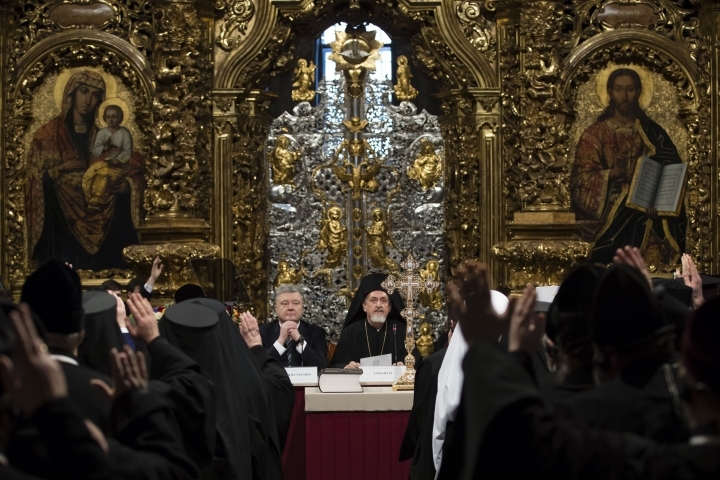 Patriarch Kirill - the head of the Russian Orthodox Church - led a service attended by some bewildered believers Sunday at the Cathedral of the Virgin's Nativity, located outside Moscow in Zvenigorod. Asked by The Associated Press what he thought of the new Ukrainian Church, Vyacheslav Fitiskin said, "Why do we need it? Let our Church be there, because those are our lands, historically." 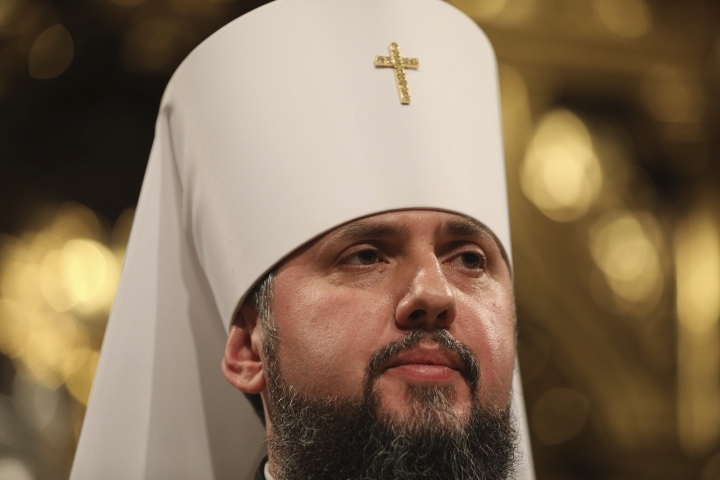 Patriarch Kirill did not directly address the creation of the new Ukrainian church during the service. His spokesman, Father Alexander Volkov, said the Russian Orthodox church has no armies to fight with, nor the political tools to challenge the formation of a new church. "But the Church has something else," he said, "it has the opportunity to speak the truth loudly from any podium. 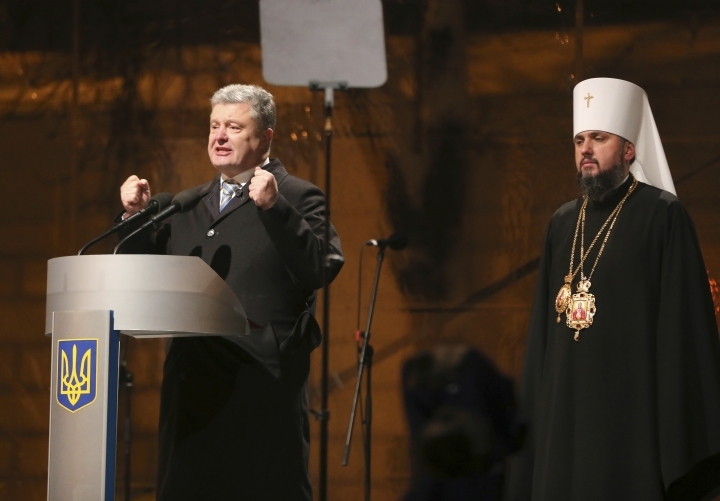 And the truth of the oppression of believers, violation of constitutional rights of Ukrainians who will vote against Poroshenko in March, that is our real power." 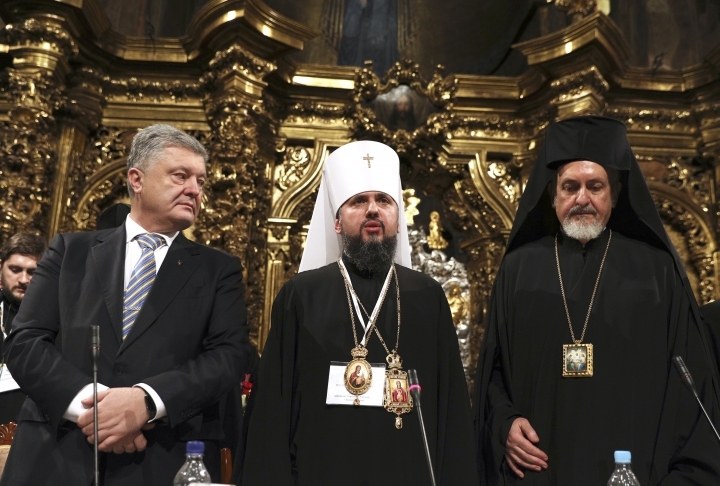 Maria Lipman, a prominent independent Russian political analyst, told the AP that Moscow views the establishment of the independent Ukrainian Orthodox Church, as a failure of the Russian Orthodox Church leadership. "There is no question that the Church's failure is seen by the Kremlin and by President Vladimir Putin personally as a very unpleasant and undesired development."